From the E4 turn onto Route 21 in the direction of Klippan. At the junction with Route 13 turn onto 13 in the direction of Ljungbyhed and follow 13 to the crossroads with Route 108. 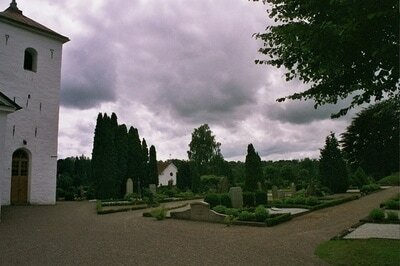 Go straight over the crossroads to Riseberga and the church is in the village. 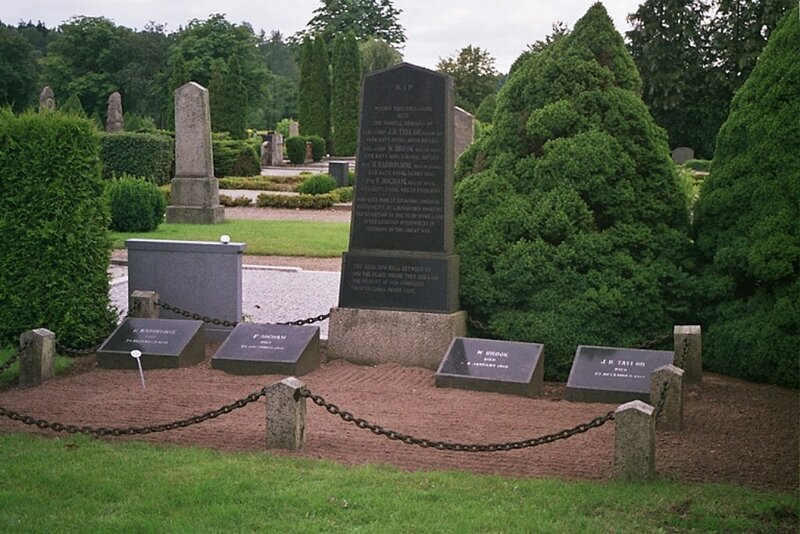 Riseberga Churchyard contains the graves of four soldier of the First World War, all United Kingdom forces, who died of pneumonia in camp at Ljungbyhed, while waiting for repatriation with French and Italian soldiers after their release from captivity in Germany. They are all buried next to each other in the churchyard. C/8072 Lance Corporal Harry Beaumont (Served as W. H. Brook), 8th Bn. King's Royal Rifle Corps, died 6th January 1919, aged 20. 48841 Private Frank Higham, 10th Bn. Royal Welsh Fusiliers, died 25th December 1918, aged 34. Husband of Mary Higham, of 134, Hyde Rd., Denton, Manchester. Born at Hyde, Cheshire. 13069 Private H. Radbourn, "A" Coy. 8th Bn. Royal Berkshire Regiment, died 24th December 1918, aged 26. Son of Mr. and Mrs. James Radbourn, of Stockcross, Newbury, Berks. 1116 Lance Corporal James Riddell Taylor, 14th Bn. Royal Irish Rifles, died 22nd December 1918, aged 31. Son of Alexander and Sarah Taylor, of 77. South Parade, Belfast.